In 2004, I began to develop a heart for those suffering from HIV/AIDS. I am reminded of that fact in two ways today. I am thinking of some teenagers at Hope for Life- Kenya who are AIDS orphans and I am wondering if they all had the funds to start school this fall as school started for them, as it does here. What would it be like to not have parents who can support you as you head into your teens… and your future… with no means to go to high school? The fees are high, but all these kids have tested well and qualify. These kids know what that insecurity is like. My heart breaks for those who have such an unsure future. We can do something to help. Are you able to help one of these kids? The other reminder about how God developed my heart for those affected by AIDS in Africa comes from my dear friend and former boss at Willow Creek, Steve Haas published a piece for World Vision, where he now works as Chief Catalyst. He traces his own journey with AIDS in sub-Sahara Africa. In the early years of this millenium when mission agencies and relief organizations were first waking up to the pandemic that was infecting and affecting about 30% of all folks in sub-Sahara Africa, the church in America was barely awake. In the next eleven years, that fact changed. And the face of AIDS is changing every day. There is so much more hope. Steve puts it this way. Reading this article made me recall how hard it was for me, a new missions pastor at Wheaton Bible Church, to take on this challenge. We started down the information track by telling our church the facts and people listened and God opened their hearts. There was good news by 2005 as the church gave generously and blessed our new Heart for AIDS ministry. 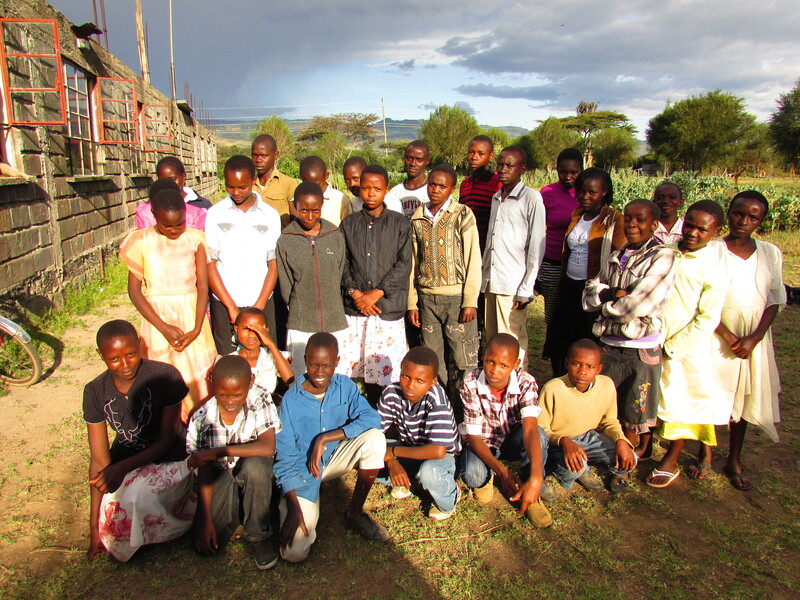 We created a new partnership with a fledgling group of pastors and orphan care workers in Nakuru, Kenya. I could go on and on about what happened there. Revisit some former posts. Some of you know personally as you have been there with one of the teams we have taken. Hope for Life-Kenya is still one of the healthiest ministries I know…working on behalf of its impoverished community and seeing great strides in caring for orphans, widow, and in community development. But the good news is that, though we haven’t done it like World Vision through child sponsorships, we actually started teen school sponsorships….as of last summer, we have found 15 sponsors for kids’ high school fees. There are 15 others who need your help. Click here to learn how. We have taken a holistic approach to the needs of orphans and widows since 2004. And the children who came to the center we built to host after school programs and lunch time meal programs in 2006 are now teenagers doing well in school. Year after year, Hope for Life is launching committed followers for Jesus Christ into the communities who know responsibility, who know how to minister to others, who take care of their younger siblings, and who serve in their churches and communities. They are learning about God’s ways and life skills at Hope for Life that give them the courage to make good decisions and refrain from risky behavior. They are loved and cared for by adults who are committed to them. But they need our financial assistance. Please consider supporting one of these kids by clicking here. Tell a friend about supporting one of these kids. Read their stories in past pages on this blog.